At Ready2Go Office Furniture, our relationship with our customer doesn’t end after their new office desk or filing cabinets have been installed. 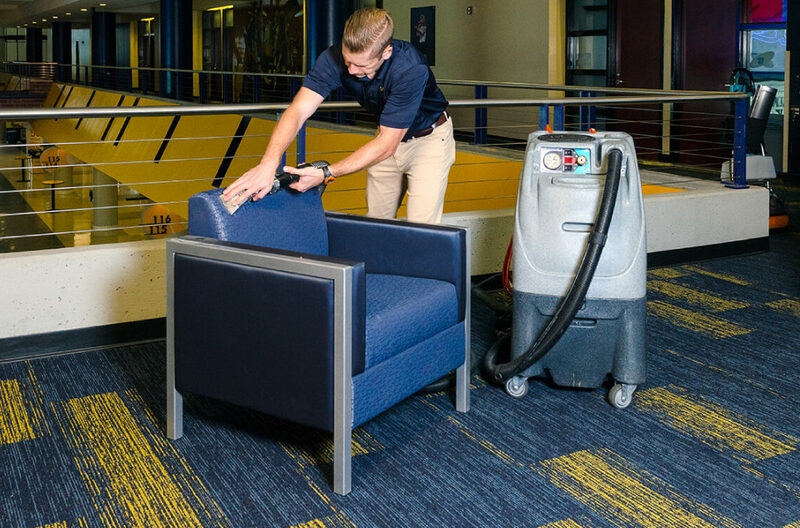 Eventually, your office furniture will need to be cleaned or repaired and when it does, Ready2Go will be there. All of our cleaning and repair services are completed right in your office and around your schedule if the circumstances allow it. This helps our team and your’s work more efficiently, saving you money in the end. There isn’t a problem out there that is easier to solve when caught late. Our team will inspect your corner desks, office chairs, and even filing cabinets to assess the wear and tear of the furniture. If they see anything that may be of concern in the future, they’ll let you know what you can do to prevent any major replacement bills in the future. Employees perform better when they feel cared for, and they tend to stick around. Repairing or touching up their chairs, desks, or other frequently used office furniture can help show your employees that you appreciate their comfort and what they do for your company. The end result? A happier, harder working employee. Why does Ready2Go Office Furniture offer repair and cleaning services? Ready2Go Office Furniture is committed to the satisfaction of our customers from initial interest in our office furniture through the entire life of that company. Our industry experts are here to help make sure your office furniture stays in pristine shape for many years to come. To learn more about our repair and cleaning services, give us a call at (317) 694-7197 or head into our showroom located at 6830 Industry Place #C, Indianapolis, IN 46219 to learn more about our project managing services.